I’ve spent the better part of two weeks exploring some of the most stunning scenery I’ve ever encountered, and today in Bryce Canyon, everything I saw was as beautiful as everything I’ve seen. Which led me to wonder… If everything is beautiful, is anything beautiful? If you asked me what was the highlight of my trip, I couldn’t answer. If you asked me the most beautiful place I visited, I would stammer and shrug. As I wandered around Bryce today and took some three hundred pictures, I wondered how I would pare them down to a reasonable number. They were all equally beautiful. Except they weren’t. After a while, walking and driving through the park, nothing was beautiful. Because how do you measure beauty against the most beautiful things nature has ever produced? I somehow pared down the 300 photos to 68, which I posted in a Google album. And above is just one to whet the appetite. 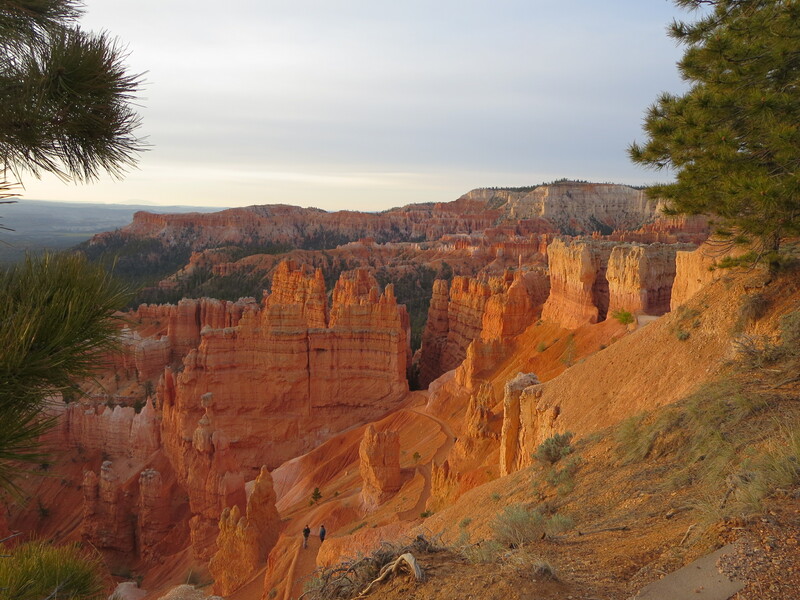 It’s the first one I took, my first view of Bryce Canyon from Sunset Point. The one where I just gazed in wonder and didn’t worry about if it was just as beautiful as everything else I’ve seen on my trip. Check out the rest. They’re really beautiful.